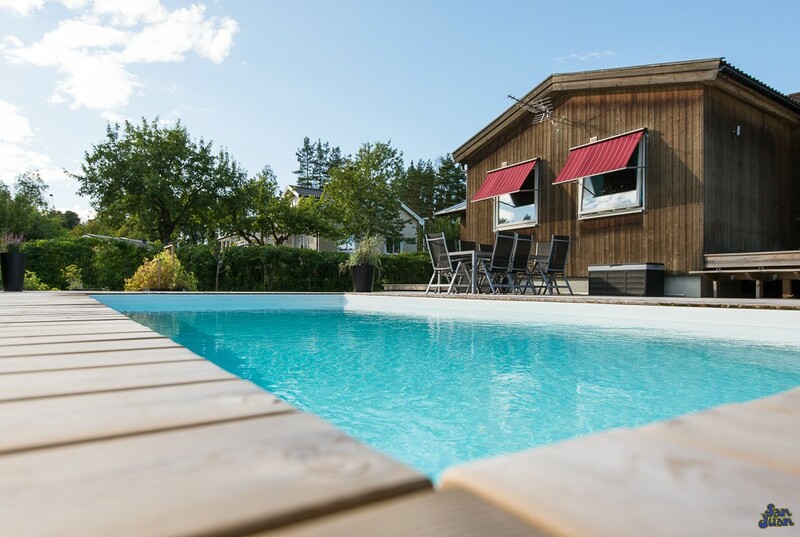 The Stockholm is part of our Rectangular Pool Shape family! 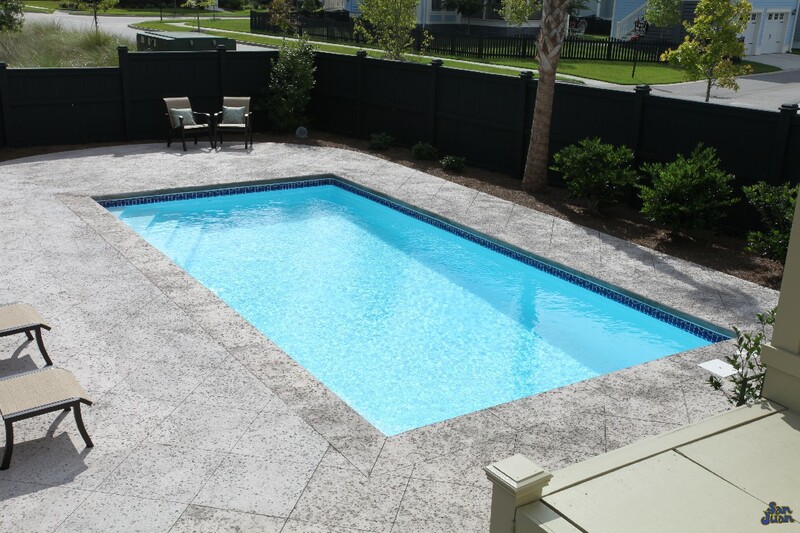 It’s a modern pool design with a corner entry step and a corner swim out seat. It’s popular among families with multiple swimmers and designed to give you room to float and play. We’re continuing our coverage of our Rectangular Pool Shapes and bringing you the Stockholm fiberglass pool. 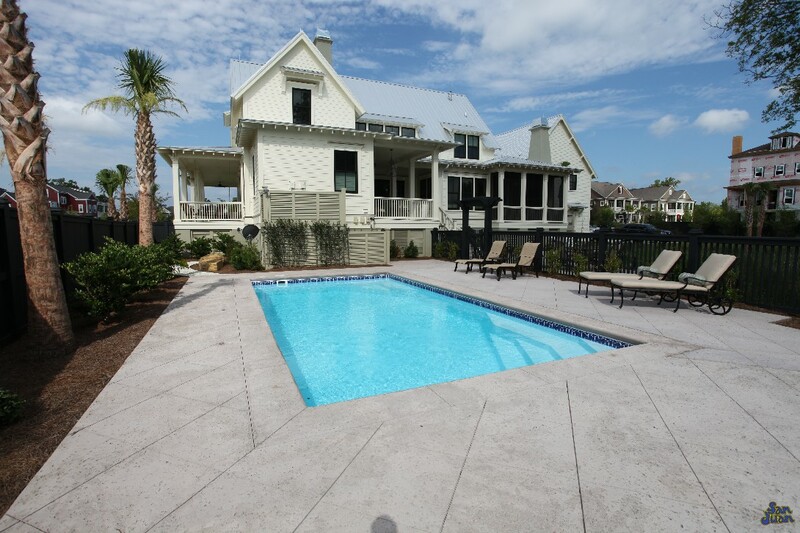 This beautiful pool shape offers a simplistic design with minimal bells and whistles. 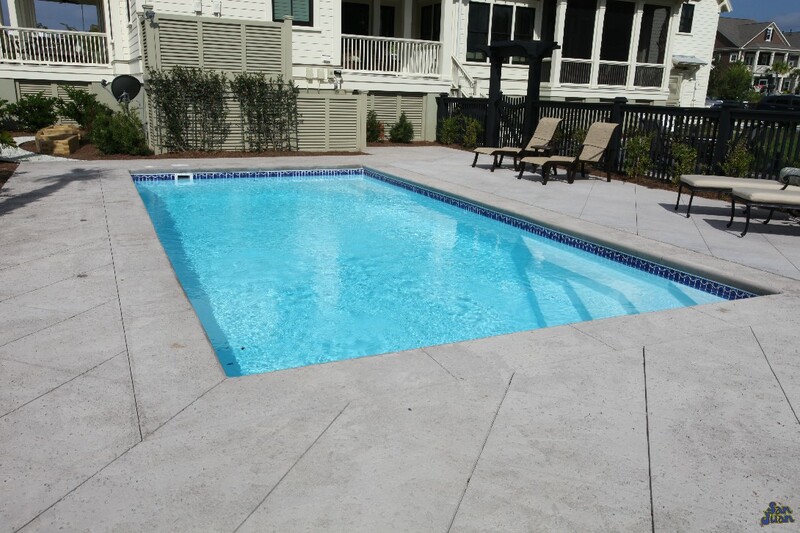 It is very similar to our Monte Carlo fiberglass pool and differs in the steps utilized for entry and exit. The Monte Carlo offers a dual set of entry steps while the Stockholm consolidates the steps into a wider corner step. By design, the Stockholm is a bit more compact with an overall length of 27′ 1″. This pool shape is popular for homes with smaller backyards and modern design tastes. 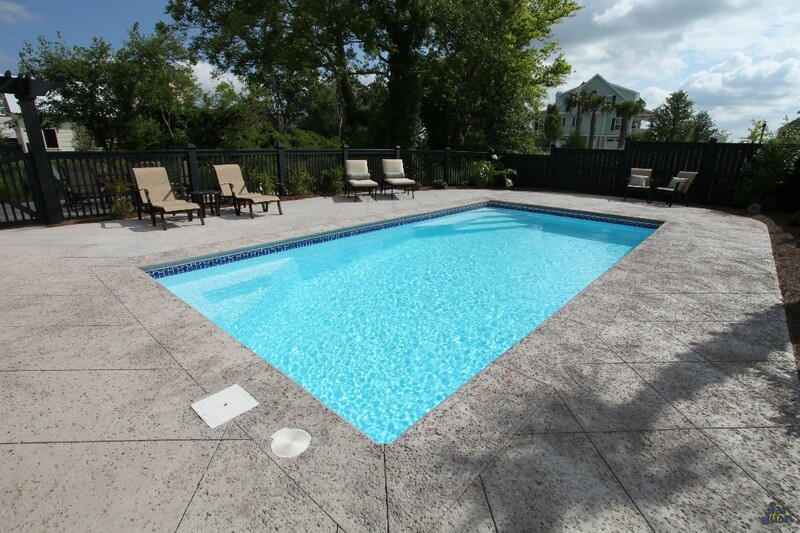 We recommend pairing this swimming pool with a basketball or volleyball set for outdoor recreation. Secondly, the corner steps are excellent for a small gathering to have fun and intimate conversation. Our Swim Out Seat offers a great refuge from rounds of lap swimming and is located in the deep end of the Stockholm pool shell. With just enough room for two swimmers, the Swim Out Seat is a unique feature popular among lap swimming pools with a modest deep end. 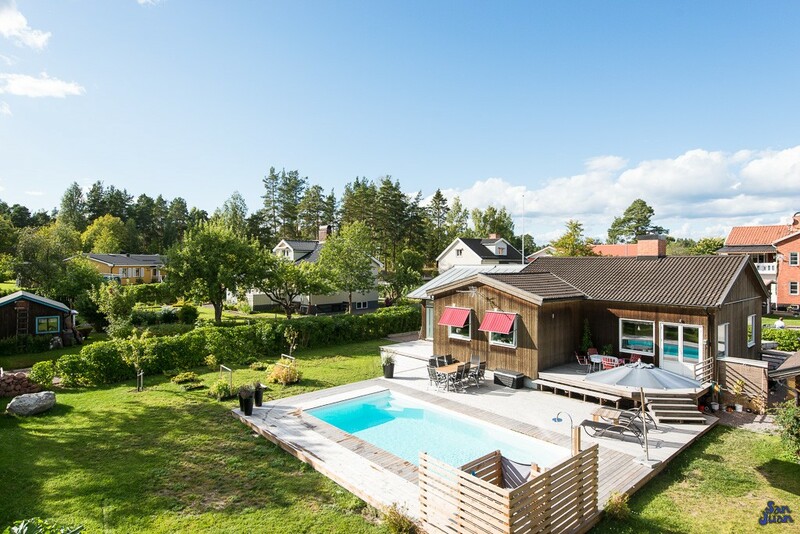 The Stockholm is an excellent swimming pool for recreational swimmers that desire a modest size. Excellent for entertaining small to medium sized groups of people, this pool gives your swimmers plenty of space without seeming too large. It pairs wonderfully with LED lighting and recreational gaming equipment, such as a basketball or volleyball set. We highly recommend this pool shape for it’s modern and traditional pool shape. It’s a popular design that isn’t going anywhere and has been a trusted member of the San Juan family for many years.